Worried about the air pollution situation in Delhi, the Supreme Court has directed that hologram-based colour code stickers be put on vehicles for identification of type of fuel being used—light blue for petrol/CNG and orange for diesel vehicles. The court also suggested considering green stickers for hybrid vehicles which will now be clubbed with electric vehicles. The coloured stickers will help the authorities identify polluting vehicles. During the hearing of petitions regarding air pollution, amicus curiae Aprajita suggested that colored stickers be put on the windshield of vehicles to indicate the type of fuel being used. 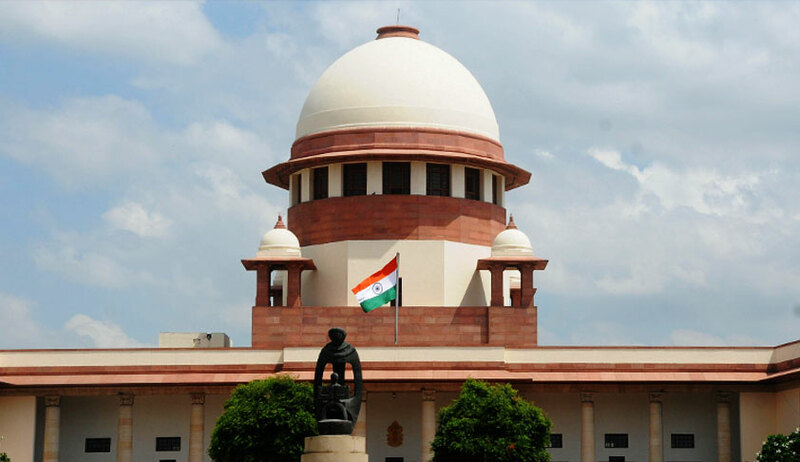 The suggestion was accepted by Additional Solicitor General appearing for the Centre and the Society of Indian Automobile Manufacturers (SIAM). "It is agreed that a hologram based sticker of light blue colour should be used for petrol/ CNG vehicles and a hologram based sticker of orange colour should be used for diesel vehicles. "Of course this should be applicable for the NCR region," noted a bench headed by Justice Madan B Lokur. During the hearing, counsel for Toyota Kirloskar submitted that as far as strong hybrid vehicles are concerned, they should fall in the same category as electric vehicles. Toyota was represented by senior advocate Ashwini Mata, along with counsel from Luthra & Luthra Law Offices—Vijay K. Sondhi, senior partner; Nakul Sachdeva, partner designate; Nayamat Sistani, managing associate; and Aakarshan Sahay, senior associate. It urged before the court that strong hybrid vehicles are cleaner and far less polluting than Euro VI petrol vehicles and cannot be placed in the second category along with Euro VI and Euro V petrol vehicles. The court said the Centre might consider providing green colour sticker for hybrid vehicles. "In the meantime, the decision for stickers of light blue colour and orange colour should be implemented in the NCR region by October 2 latest," ordered the bench. Meanwhile, in an affidavit filed in the court, Indian Oil Corporation said it has been conducting studies for using a mixture of hydrogen and CNG as fuel for buses. It further stated that the study will take about six months and an amount of Rs 14 crore would be required for implementing the project. "Since there is sufficient amount lying in the Environment Compensation Fund, an amount of Rs 15 crore may be sanctioned to Indian Oil Corporation Ltd for carrying out its study and pilot project," ordered the bench.